Servers are down!! Yet another Host server issue. 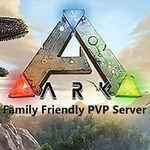 Servers are down please follow the Latest ArkFam.com News thread for info on the outage and it progress. Is this a regular/normal thing to have happen or is the hosting service usually much more stable? It seems to have been down a few times lately. Is there an eta when it will be back up? I was looking forward to playing till 4 today. I've been on the servers for a couple months now and this has only happened twice since I've been around and both times very recently. I'm sure that ArkFam will get things sorted out so try to be patient. Cool! I figured it wasn't something happening often, I've only been playing on this server a couple of weeks now so all my experiences have been "recent" Thanks! The server has been up for almost a year and the last few bad crashes have been the first of their kind. I would not be surprised if it was the server farm trying to get greedy and stack too many virtual machines on a single system. 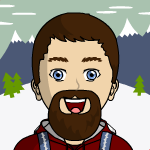 I am able to log onto the servers, just having a lot of stuttering issues. Server is fixed and back online.